How do I properly insulate my windows for the cold weather? Brrrrr! Today the high in Denver is supposed to be only 39 degrees. Winter is definitely on its way. Here at Gravina’s we get questions all the time about how our customers can help keep their heat in and keep the cold out. 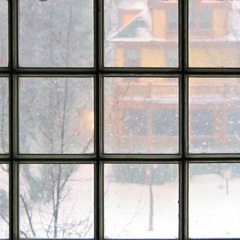 Even with new windows, there are a few things you can do to help properly insulate your windows and protect yourself against those irritating drafts. First, check all your doors, windows, and even your walls, and make sure there are no leaks anywhere. On a cold day, you can feel cold air coming in through the sides of windows and the bottoms of doors that don’t have a tight seal. If you’re not sure, try the tissue test. Once you find the leak(s) — seal it up with caulk or a roll of weather-stripping that you can find at your local hardware store. Having a tight seal on doors and windows will ensure that the warm air stays in and the cold air stays out. Experts say the cost of these easy and relatively cheap sealing techniques will be earned back in your energy savings in just one year. Also, if you’ve got window unit air conditioners, take them out for the winter and store them if you can. The seal around them is usually not airtight and will let in cold air. If you absolutely cannot remove them, then try sealing them with fiberglass insulation so that air doesn’t leak through. How do you know when it’s time for new windows completely? Well, for one, if you have windows that can be easily opened from the outside or conversely, not easily opened on the inside at all, it could be an issue of safety rather than energy efficiency. You don’t want just anyone able to climb in and you want to be able to get out in case of an emergency. According to the Efficient Windows Collaborative, it’s also time to consider replacing your windows if you see that water is getting through and potentially allowing mold to grow in your walls. Even if you can’t see the water, it might be an issue if paint around your windows is peeling or bubbling. This is a definitely a sign that it may be time for new windows. Other signs? Rotting windows and lead paint hazards if your windows predate the Lead-Based Paint Initiative of 1978. If you have determined it’s time for new windows, make sure you take advantage of the government’s tax credit for scrapping your old windows and replacing them with more energy efficient ones. Windows and doors aren’t the only things leaking cold air in and warm air out of your house. 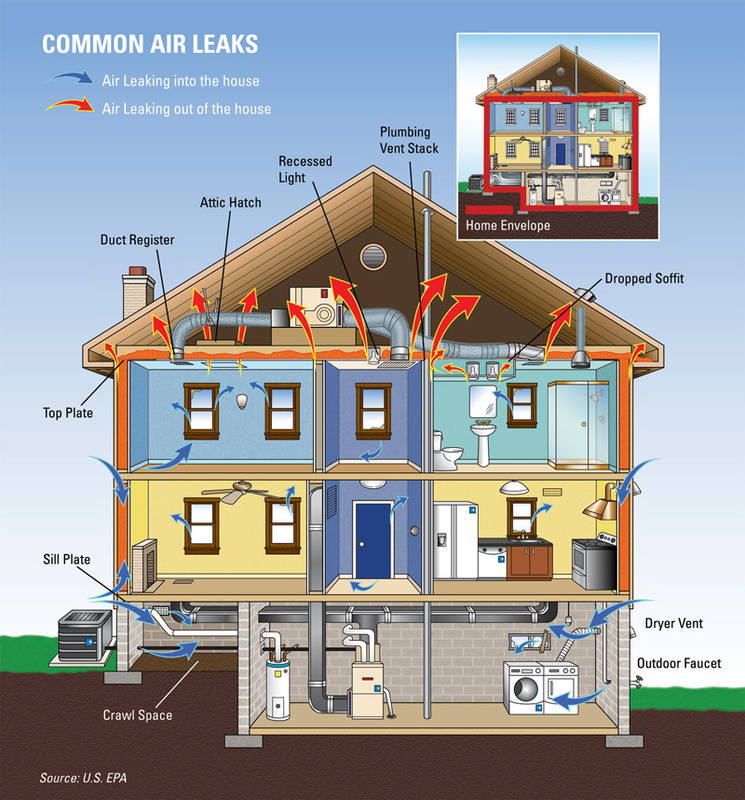 The government’s EnergyStar website has a diagram that shows all the common areas besides doors and windows from which air can be leaking, places like the ducts in your attic or the dryer vent in your basement. Check it out here. If you follow these tips, you’ll be sure to save money on your heating bill this winter. And guess what? Come summer, you’ll save on your cooling bill too.